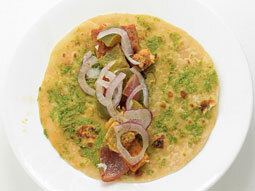 It is nothing but tongue tickling spicy paneer tikka wrapped in chapati or paratha. It is not only a different way of enjoying paneer tikkas with routine paratha or chapati but also a healthy, stomach filling food that can simply liven up your taste buds. 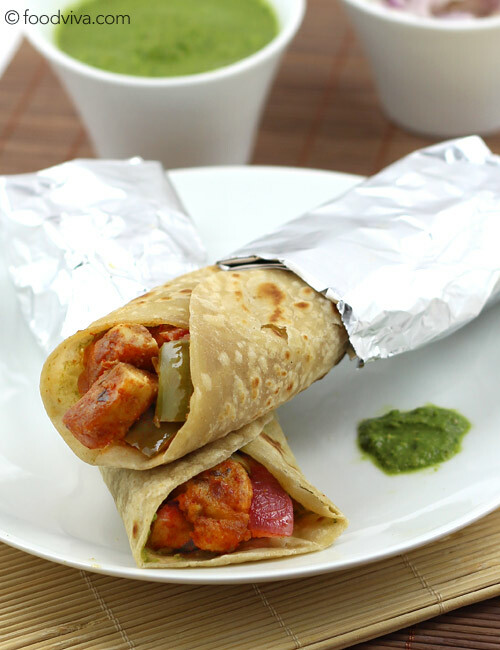 Making paneer kathi rolls at home involves three steps, 1) make spicy tikka for filling, 2) make chapati for the wrap and 3) combine both into a stuffed wrap. Take thick curd, corn flour, ginger-garlic paste, red chilli powder, garam masala powder, kasuri methi, coriander powder, chaat masala powder and salt in a large bowl. 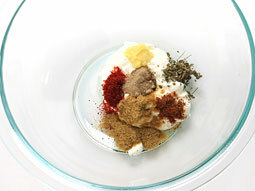 Mix all ingredients to prepare a marinade. 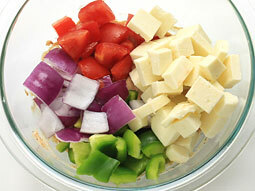 Add paneer cubes, capsicum, tomato and onion. 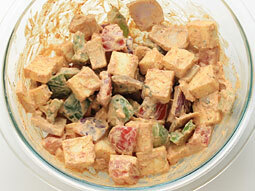 Mix gently to coat them with marinade. Cover them with a plastic wrap or a lid and place in the refrigerator for around 25-30 minutes. Heat 1 tablespoon oil in a non-stick pan. 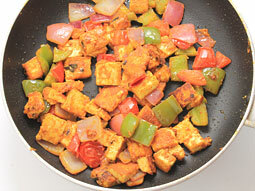 Sauté marinated capsicum, paneer, onion and tomato for 5 to 7 minutes over medium flame. Turn off the flame, add lemon juice and mix well. 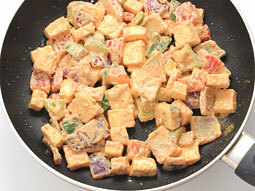 Paneer tikka, which will be used as stuffing, is ready. 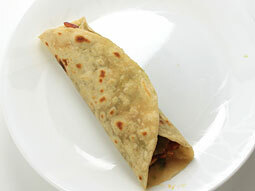 Divide it into 4-5 portions and proceed to make chapati which will be used as a wrap for the rolls. 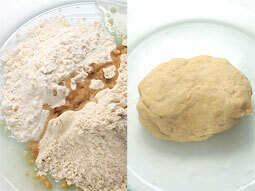 Take whole-wheat flour, maida, 2 teaspoons oil and salt in a bowl. 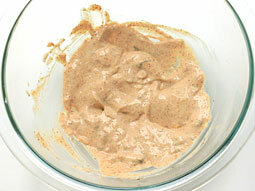 Add milk or water as needed and knead smooth dough similar to chapati or paratha dough. Cover it with a clean muslin cloth or a plate and keep aside for 10-15 minutes. Divide dough into 4-5 equal portions and give them a shape like a ball. 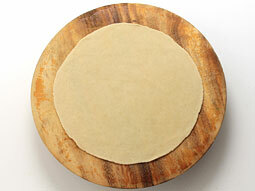 Coat each ball with dry flour and roll out on a roti making board (using rolling pin) into a thin circular chapati. Spread 1/2 teaspoon oil evenly on each side and flip and roast both sides of chapati on tava until light brown spots appear. 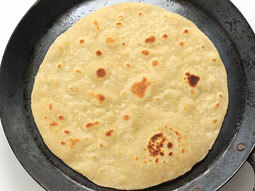 (See detail direction for how to cook chapati (simple paratha)). Transfer it to a plate or a roti container and cover with the lid to prevent it from drying. 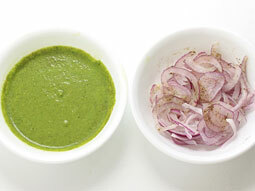 Prepare the mint coriander chutney by following the recipe. Cut onion into thin slices and sprinkle a little bit of chaat masala powder over it. 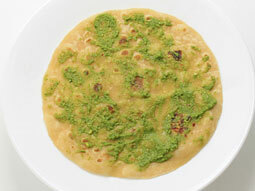 Take one chapati and spread 1-2 teaspoons green mint chutney evenly over it. If chapati is not hot, re-heat on tava for few seconds before making the roll. Put one portion of filling in the center and spread it lengthwise. 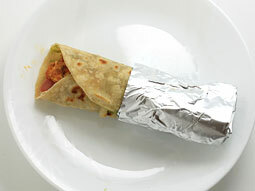 Wrap the filling tightly with chapati and make a roll. 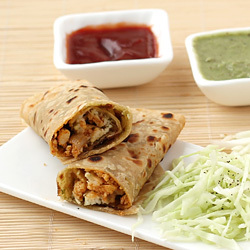 Wrap the roll halfway with aluminum foil and serve with mint chutney and vegetable salad. If you want to prepare chapati in advance then stack them on one another, place them in roti casserole and cover with a lid to keep them soft. Serving Ideas: Serve it as an afternoon snack or as light food in evening dinner. It's really yummy...thanks for the recipe. Works well with chicken too! I tried your recepie too...my family loved it...thank you. I love your recipes. I have tried this one and it turned out really very good. Thanks. Response: Thank you Shital for trying the recipe and giving the feedback. Hi, whenever I try to cook on griddle, it gets burnt. Could u pls suggest how to do it? Response: Hello Vani, rotate the tikkas at regular intervals to prevent them from burning. Nice recipe I loved it. Can you use ground fenugreek instead of the leaves? 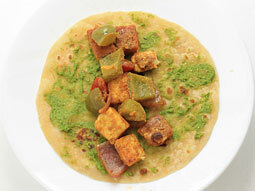 Response: No, you cannot use ground fenugreek instead of the dry fenugreek leaves in this recipe. If it is not available, you can skip it.